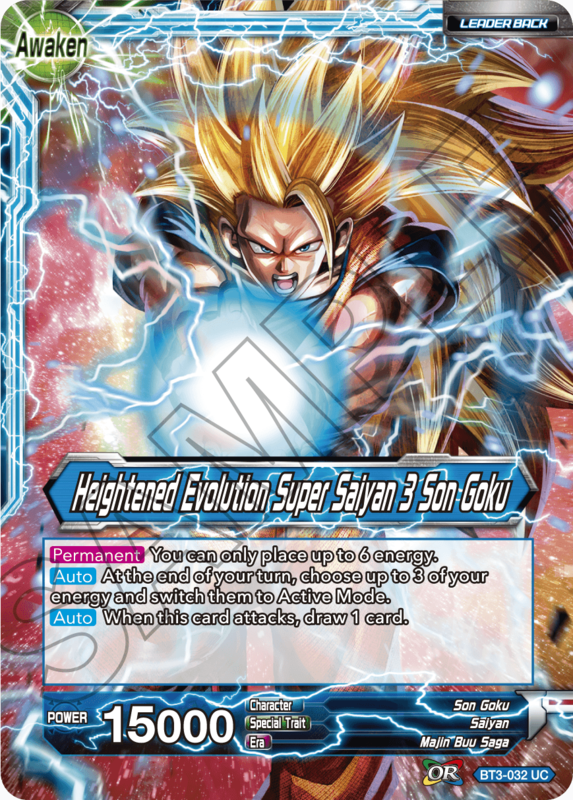 Currently, the general usefulness of Heightened Evolution SS3 Son Goku’s effect has led to it being used in many decks. Following its release in series 3, its inclusion rate has exceeded expectations, and it appears that this will only continue in the post-season 4 environment. The card’s strengths include being able to play many cards, awaken, draw cards, and repeatedly attack during the early game, but we expect many decks will be able to counter it in the series 4 meta. Though we’re not concerned about the environment stagnating, it’s possible SS3 Son Goku will cause a dangerous overall acceleration of the game. As such, we’re placing BT3-032 Son Goku/ Heightened Evolution Super Saiyan 3 Son Goku on the watch list. Cards on the watch list haven’t been restricted or had their skills changed in any way, but may have errata issued on them depending on how the environment develops. We’re currently planning on running large scale tournaments in many areas starting in August, and want to do everything we can to ensure that the game is fun for as many players as possible, with a large number of viable deck options. We’re doing everything we can to develop and support a game that will bring countless hours of enjoyment to both Dragon Ball fans and card game fans alike. Thank you for your support, and we hope to see you at events in the future!